I stumbled across CRED magazine at a concert that I recently attended in the Philadelphia area. I was stunned to find out that behind the magazine stood a core group of young people that bring together this content. It is indeed a REAL magazine, with as much detail in aesthetics as it is in content. I encourage everyone to check out their website and their samples! It is an amalgamation of many youth serving arts organization in the city as noted in their special thanks section. It fulfills many of the core Connected Learning Principles: Interest-powered, Peer-supported, Openly-networked, Production-centered, Shared purpose. While it’s mission maybe only indirectly academically oriented, one must recognize the power and potential it has for teaching purposeful writing practices. 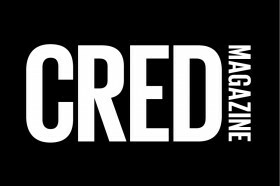 What I love about CRED magazine is that it is indeed authentic. It makes youth work feel valued because of the way in which the staff highlights youth creativity in a aesthetically pleasing way. It’s not thrown together. It’s carefully curated. It demands of me that as a educator, if I am asking for high level work, I must first challenge myself to bring together high-quality venues for sharing and possibly publishing. They are having an event on March 6th entitled “25 Degrees.” I’m familiar with the promoter Frosty. If any of you are in the area, please join me out there to celebrate Young Philly. Join us as CRED Magazine and social entrepreneur, Paul “S.Frosty” Jackson host their first youth networking event–complete with art-making, live performances, music and special guests! Don’t miss this opportunity to meet and mingle with other young artists, writers, poets and creatives.